Thursday 17th January marked the first (of many) gig of the year for myself and Colin. It was also specifically the first (also probably of many) South London gigs of 2019 – South London being the home of DIY punk rock, of course. 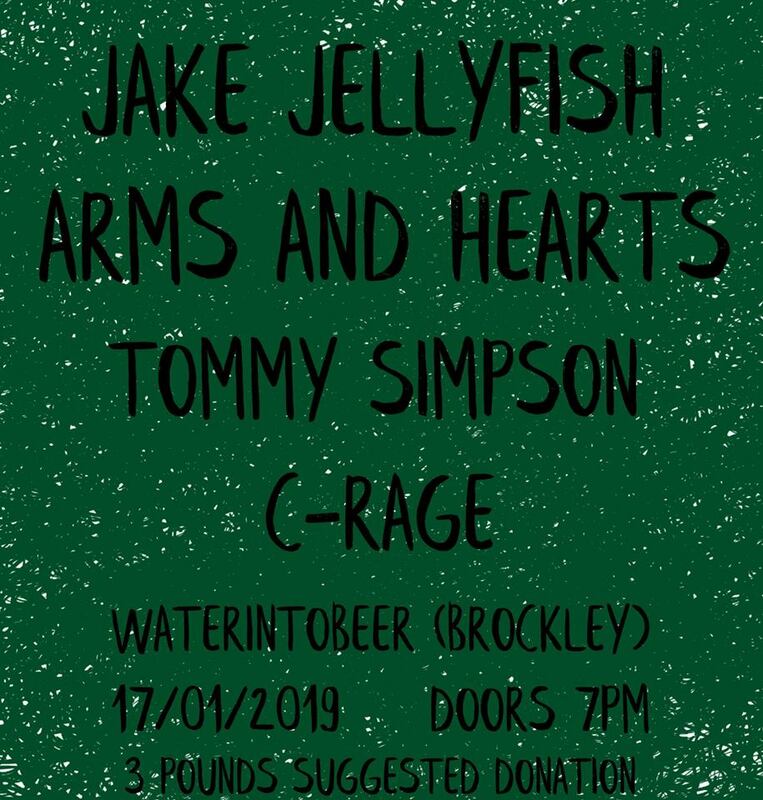 Hosted by Gold Soul Theory Promotions at waterintobeer, a small shop selling all things beer, the all acoustic line-up featured Jake of Jake & The Jellyfish, Arms & Hearts, Tommy Simpson and C-Rage. 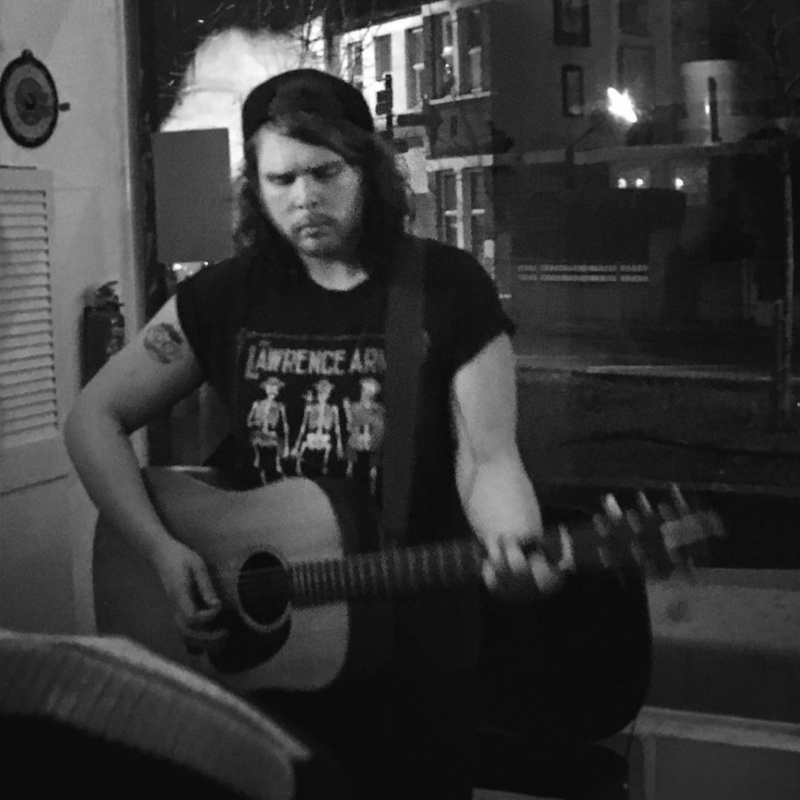 Having travelled to and across London from Bedford, we only just about made it to waterintobeer on time to see C-Rage open up the show – arriving during his first song, Fenchurch Street. The venue was already busy with plenty of pals, us included, keen to watch him do his thing. Usually found down the road at the New Cross Inn, there were plenty of the New Cross ‘crowd’ in attendance with a lovely chilled atmosphere for C-Rage’s set. 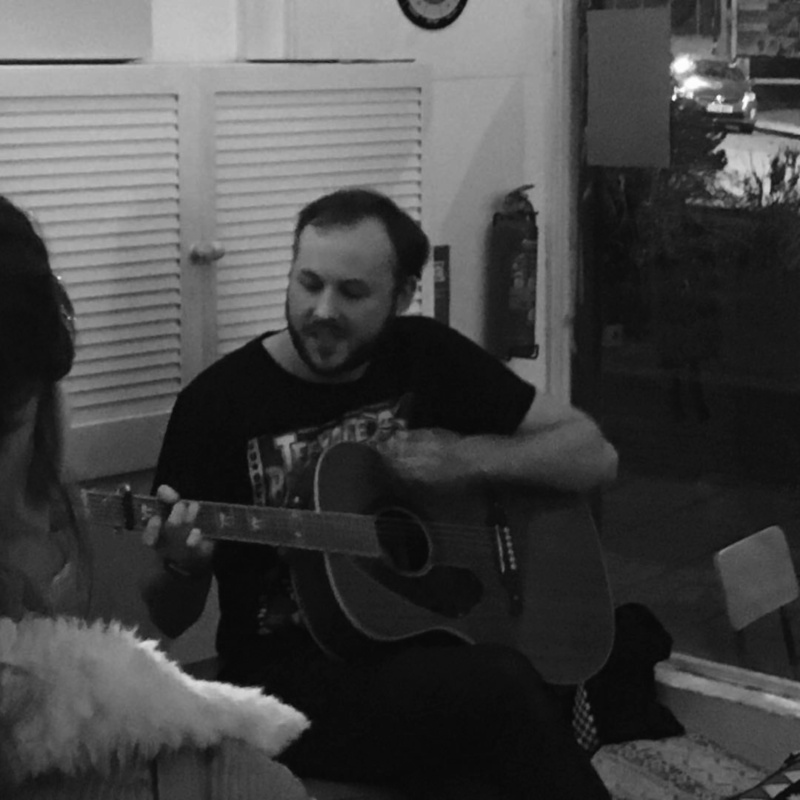 The mixture of self-deprecating and nostalgic acoustic pop punk tunes was warmly received with attentive silence throughout the songs and enthusiastic applause after each. The set included a cover of Mixtapes’ Orange-Yellow and, fan/friend favourite C-Rage original, Soundcheck. We couldn’t have asked for a more lovely start to the evening. Up next was Tommy Simpson, someone who I am most used to seeing as a part of London-based punk trio The Exhausts. I’m a big fan of the band but hadn’t listened to any of Tommy’s solo stuff before so was interested to hear him play and, with everything being unplugged, I didn’t have to wait long. 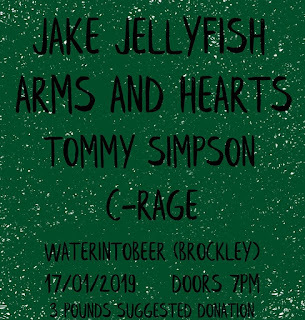 It turned out Tommy Simpson, who frequently performs at waterintobeer, plays sad indie punk songs that are not too dissimilar to a stripped back Menzingers. Think songs about growing older and wondering what you’re doing with your life – it was his 30th birthday the next day so there was a bit of a theme. The songs were great, as was the banter in between, including introducing us to his best pal Buster, the dog, who happened to be outside the venue. I really enjoyed Tommy’s set and I’ll definitely be checking out his solo EP now. The second part of the evening featured two musicians from a little further afield, the first of which being Arms & Hearts from Manchester. I saw Arms & Hearts last year for the first time, at Manchester Punk Festival no less, and was thoroughly impressed. Being completely unplugged at waterintobeer however gave this performance a different feel. Steve kept the audience captivated from the very first note with his gruff vocals carrying with ease despite not having a microphone. Arms & Hearts plays a sort of Americana-style acoustic punk, in a similar vein to Dave Hause, and was the only act of the night to bring more than just his acoustic guitar, with the addition of harmonica bringing bluesy Springsteen-esque vibes to the evening. Finishing a great set with the brilliant Fortitude, Steve encouraged the waterintobeer crowd to join him for a little singalong of ‘Home is wherever you happen to be tonight.’ Perfect. The singalongs didn’t end there as it was time for the last act of the evening – Jake Jellyfish aka Jake from Jake & The Jellyfish, from Leeds. I’ve been a big fan of the folk punk stylings of Jake & The Jellyfish for several years now and have seen the band live multiple times, I had never seen a solo Jellyfish show however so this was going to be quite the treat. 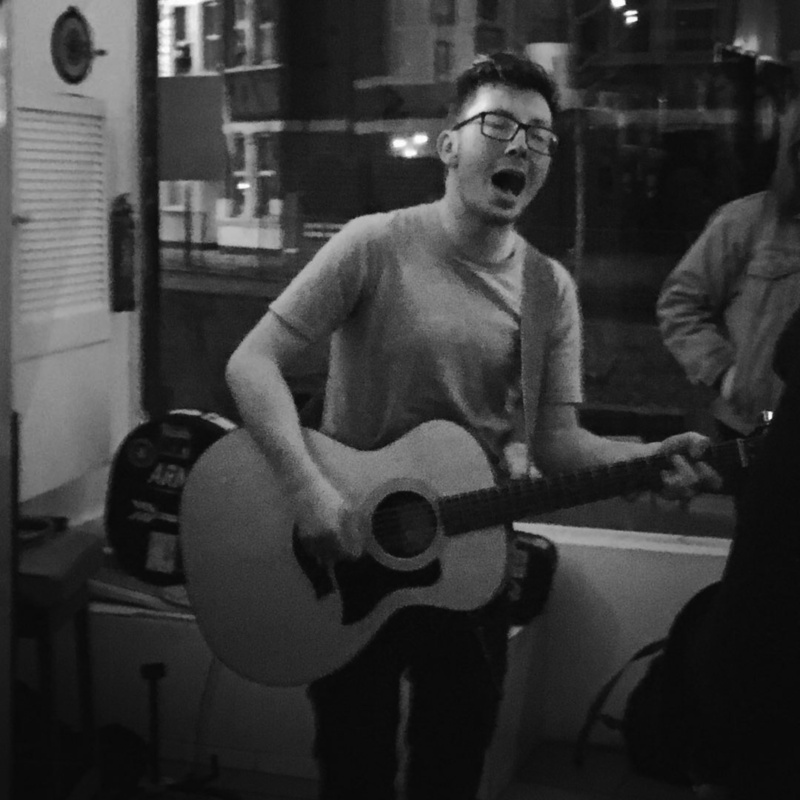 Jake’s set was choc-a-block with everyone’s favourite Jellyfish songs – hence the further singalongs – including Tunnel Vision, DIY, Dotted Line, Reading List and Same Old. 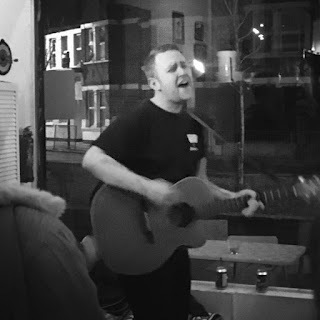 The stripped back renditions of songs in such an intimate setting made for perhaps an even more emotional connection with the crowd than usual. Full band Jellyfish sets often feature an acoustic last song where Jake, and sometimes other members of the band, join the crowd for a final sing-song. So, to have a whole set of unplugged and much-loved Jellyfish songs just like that really felt special. We all loved it so much in fact that Jake agreed to play a bonus song at the end of his set – 23. A wonderful end to a wonderful evening of acoustic punk. 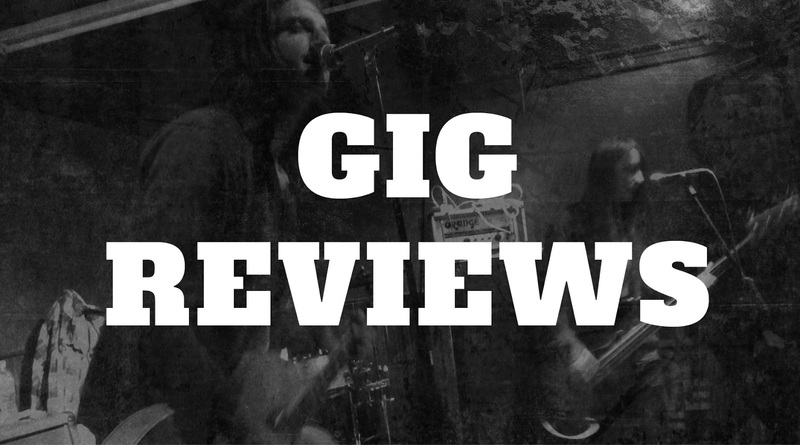 We probably didn’t really need easing back in to another year of punk rock gigs but it was nice to kick things off with something a little different all the same. Thanks to Gold Soul Theory Promotions and waterintobeer for making a Thursday in January thoroughly more enjoyable than staying home.